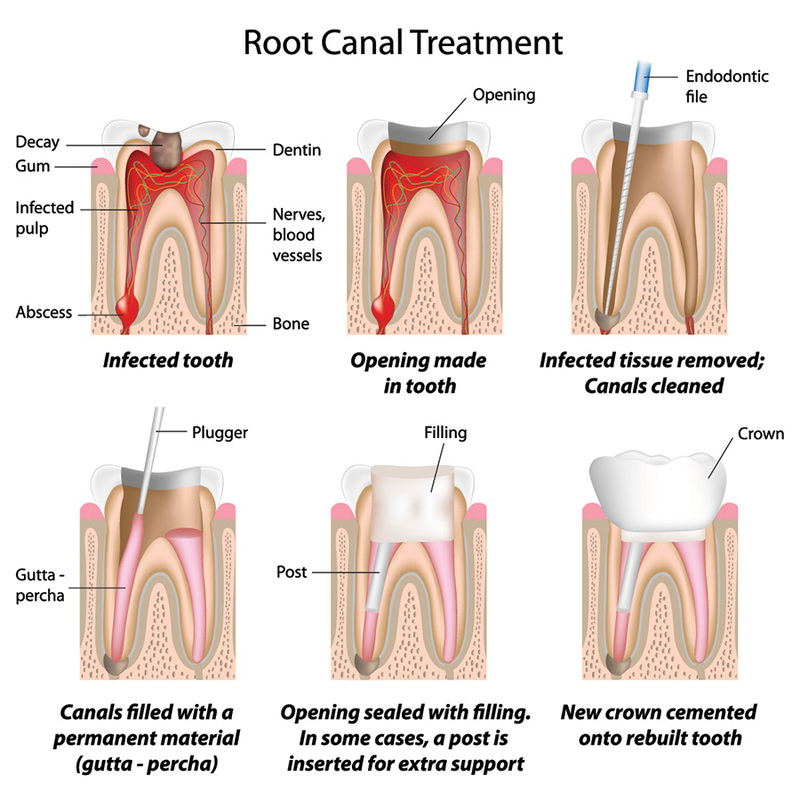 If your tooth becomes badly decayed or infected, you may require a root canal. This type of treatment is performed when the nerve of the tooth becomes infected or the pulp (within the coronal part of the tooth) becomes damaged. How can a Tooth’s Nerve and Pulp Become Damaged? The factors that can cause the nerve and pulp to become irritated, inflamed, and infected vary. These include: deep decay (cavity), a tooth crack or chip, certain trauma to the face, and undergoing multiple dental procedures on the same tooth and/or large fillings. Good oral hygiene practices can ultimately help to prevent the need for a root canal or re-infection of the root canal. What Indicates That a Root Canal is Needed? If you have noticed problematic changes in your teeth and/or gums, please contact the office of Dr. Naik. He is a skilled Inland Empire cosmetic and family general dentist. In order to control a dental problem, it must be dealt with in its early stages. Therefore, please take notice of these signs, as they may indicate that a root canal is needed: intense toothache pain when chewing or with the application of pressure, a prolonged sensitivity/pain in response to hot or cold temperatures even after the hot or cold has been removed, tooth discoloration, swelling and tenderness of the surrounding gums, and/or an insistent or recurring pimple on the gums. Please note: Sometimes symptoms are not noticeable, so be sure to maintain your regular trips to the dentist as well as a cleaning and flossing schedule at home. The root canal procedure requires one or more office visits and may be performed by a dentist or endodontist (depending on the extent of your case). During a root canal procedure, the nerve and pulp is removed and the inside of the tooth is cleaned and sealed. Some dentists prefer to wait a week before sealing the tooth, while others prefer to seal the teeth right away. Be sure to discuss the various details with Dr. Naik during your consultation. He will provide you with the necessary information to help you make the best decisions, with insight to his own methods and practices. Typically, a tooth that needs a root canal is one that has a large filling, extensive decay, or other weakness; therefore, the concluding step of a root canal may involve further restoration of the tooth. This may mean opting for additional treatment, such as a getting a crown to protect the tooth and prevent any further problems. It is a misperception: a root canal is a painful procedure. This treatment, however, is not more painful that actually having a filling placed. The experience during the period leading up to your visit with Dr. Naik is the actual painful moment. The drilling during treatment may be annoying; however, anesthesia is used during a root canal. Your only alternative to a root canal If the root canal is not completed on the same day, a temporary filling is placed in the exterior hole in the tooth to keep contaminants out between appointments. is to have the tooth extracted and then replaced with a bridge, dental implant, or removal partial denture. These options are more expensive than a root canal, as well as require longer treatment time and the need for additional procedures with the adjacent teeth and its supporting tissues.